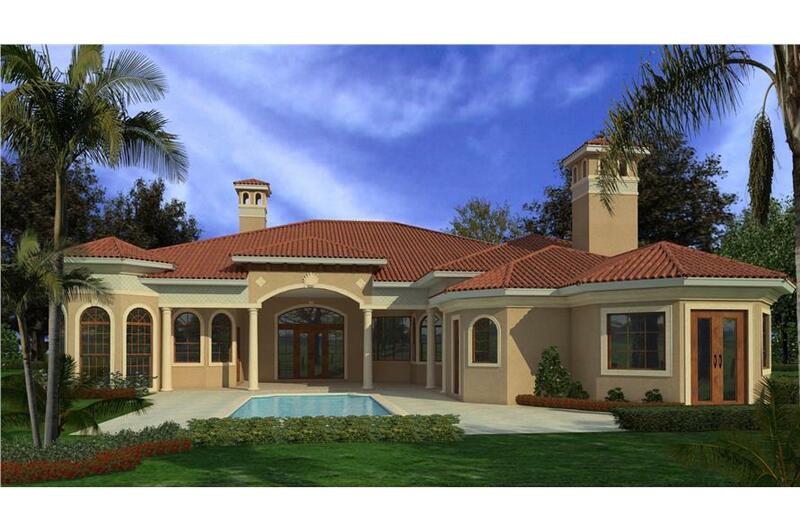 This immaculate, 6095-total-living-square-foot home plan boasts the Spanish or Mediterranean design in every way. As you enter this 5 bedroom, 5 bathroom house plan, your eyes are greeted by the ever-spacious living room. To the left of the living room is the pantry, kitchen, family room, and guest room. To the right of the living room is the master bedroom and suite, an exercise room, and a study. This home plan boasts elegance through raising the standard of living in every aspect. 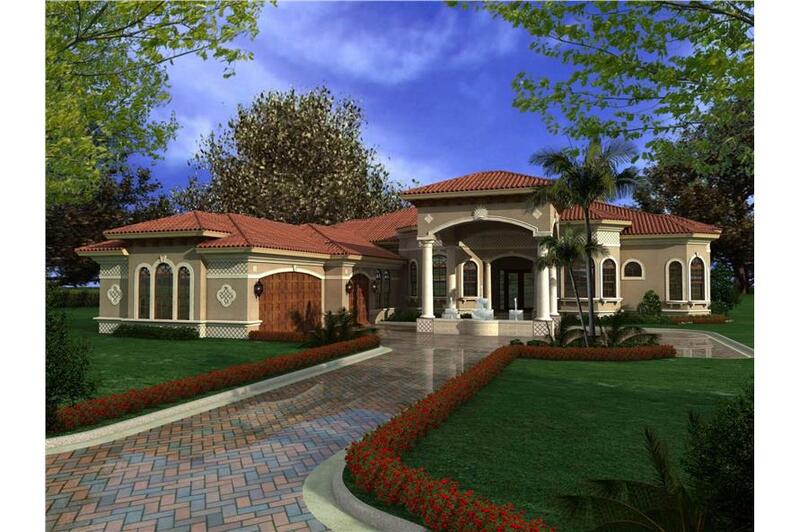 If you are in love with luxurious, Spanish/Mediterranean Style house plans look no further than #107-1020.